LATINA BOOK CLUB: March Book Club Selections -- 2 books! March Book Club Selections -- 2 books! The Comadres, Compadres & Friends Book Club are reading two books for March! Mark your calendar for March 18 at the Borders Bookstore on Columbus Circle at 6:30pm. 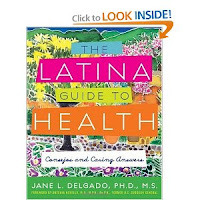 The books are THE LATINA GUIDE TO HEALTH: CONSEJOS AND CARING ANSWERS by Dr. Jane Delgado, with the foreword by Antonia Novello, former US Surgeon General. This is an extensive guide filled with lots of useful medical information and better yet, lots of contact information. 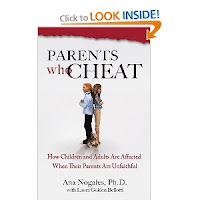 And, PARENTS WHO CHEAT by Ana Nogales. The rest of the title describes the book perfectly. The book is about "How Children and Adults Are Affected When Their Parents Are Unfaithful." This is a very emotional topic.